Dream Home On Wheels With 350 Sq Ft Of Charm And Comfort! 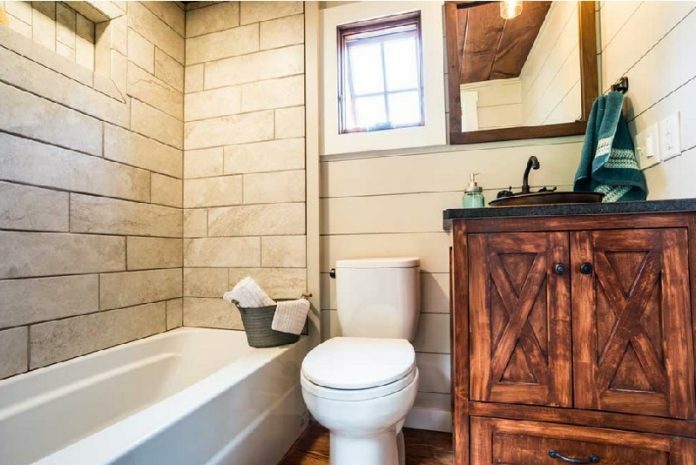 You'll Love Its Bathroom! 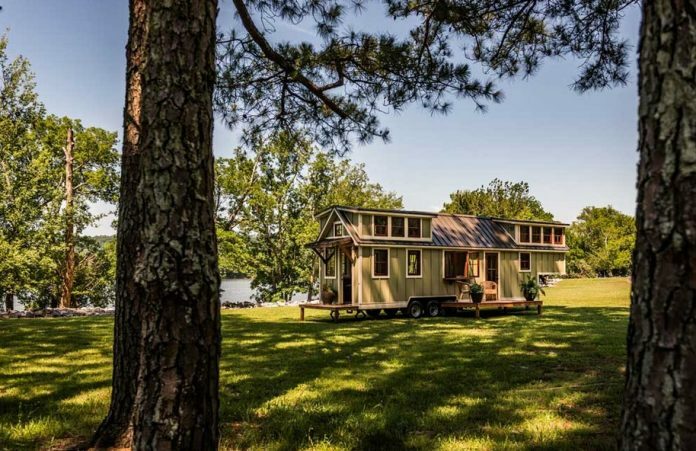 Dream Home On Wheels With 350 Sq Ft Of Charm And Comfort! You’ll Love Its Bathroom! 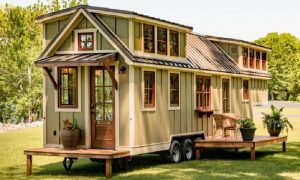 For the past ten years, Tiny Houses have been gaining popularity, and more and more people are choosing to make them their main home. Obviously, these mobile houses can not accommodate a whole family. But with 350 sq. Ft. (33 sq. M.), like the one you’ll see on the following pictures, one or two people can easily live there permanently. There are several models, but the Denali house will make you dream, and you will surely want to own such a mobile home. 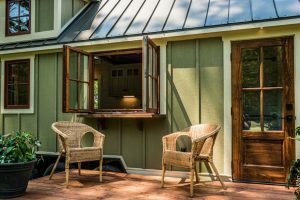 Made by Timbercraft Tiny Homes company, with quality materials, this small house is as beautiful on the outside as the inside. It is described as a luxury country house. Built on two floors, the Denali house has all the conveniences of a functional home. 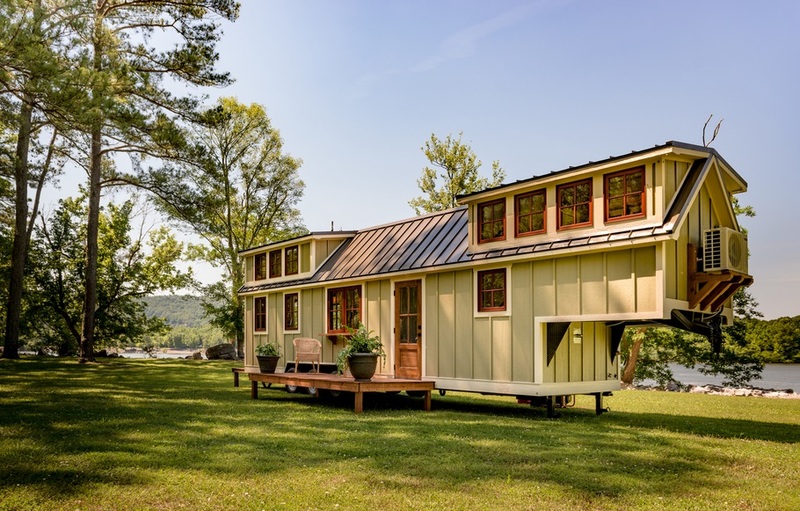 Mounted on a three-axle trailer, this mini-house can certainly be moved, but it is better adapted to be permanently installed on a lot. Viewed from the outside, this mini-house looks just like a modern building. Two doors give you access to the house, one of which has a small balcony, and the other to a patio large enough to accommodate chairs and plants. It is topped by a metal roof, and has several windows that provide maximum inside clarity. Doors and windows in dark wood give it a special character. A large work surface allows for cooking and dish preparations. We also note the presence of several custom cabinets, fixed both at the top and bottom of the sink. Although there is no wall separating the kitchen from the living room, it nevertheless gives the impression that there are two separate rooms. You can go there either through the kitchen or through the front door. There’s a large sofa installed on a carpet that covers the entire surface of the living room floor. Ideal for lounging, this relaxation corner has a view on the outside. 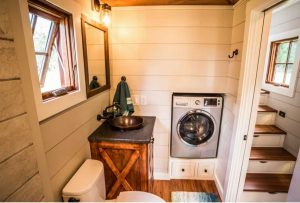 Unlike other mini-houses, the Denali house has a large bath and a real toilet. A sink is fixed on a superb piece of furniture, which allows it to store towels and other bathroom accessories. There’s a built-in washing machine on the wall, just below which two drawers also serve as storage. 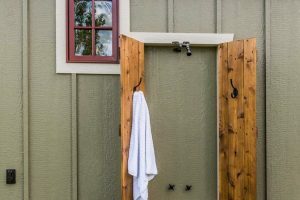 If you cannot take a shower in the bathroom, there is one outside the cottage. A staircase leads to the bedroom, each of which has a drawer for storage. You can walk in this very spacious room without having to crawl or walk on your knees. Surrounded by windows, the bedroom greatly benefits from daylight. 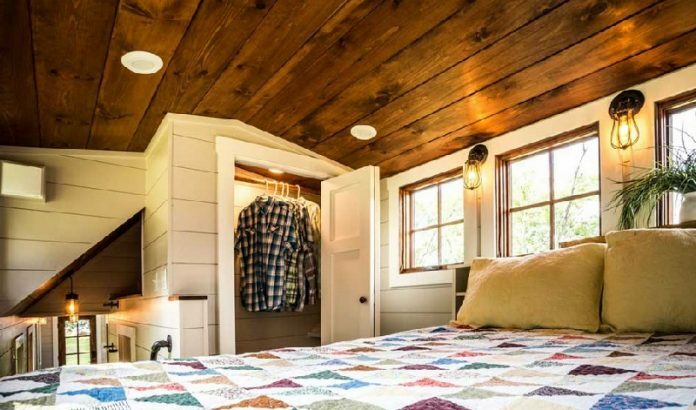 It also includes a large closed wardrobe, which can hold all the clothes on a rod. As for the shoes, they find their place at the bottom of the wardrobe. 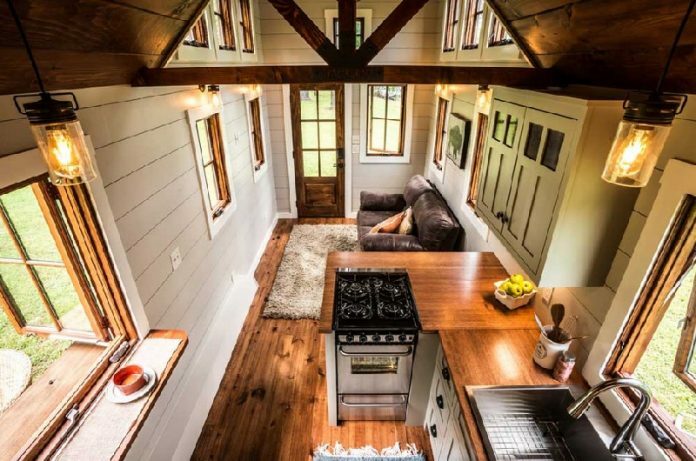 Everything has been thought out in the layout of this mini-house. Indeed, knowing that most pet owners cannot live without their friendly animal, some space has been reserved for them. 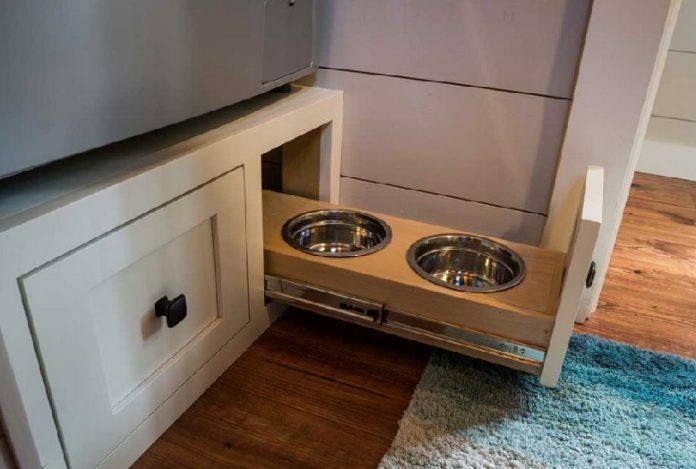 One of the kitchen drawers, which seems to be located under the refrigerator, was designed to put the bowl of water and the bowl of food. This way, nothing drags on the floor, and when it’s time to feed the animal, you simply need to open the drawer. During your virtual visit, you were probably thinking of getting a mini-house identical to the Denali house. You have surely wondered about the price you would have to pay to acquire one, didn’t you? You’ll be happy to know that such a model is detailed at about 89 000 $ US. 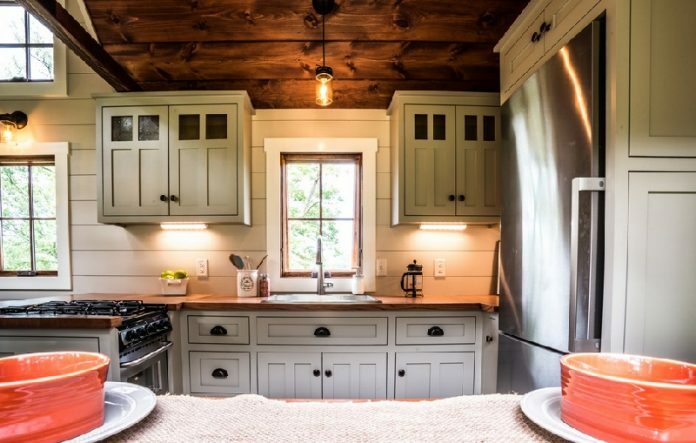 If you are willing to live in a luxury Tiny House, surely you will consider the price to be affordable.